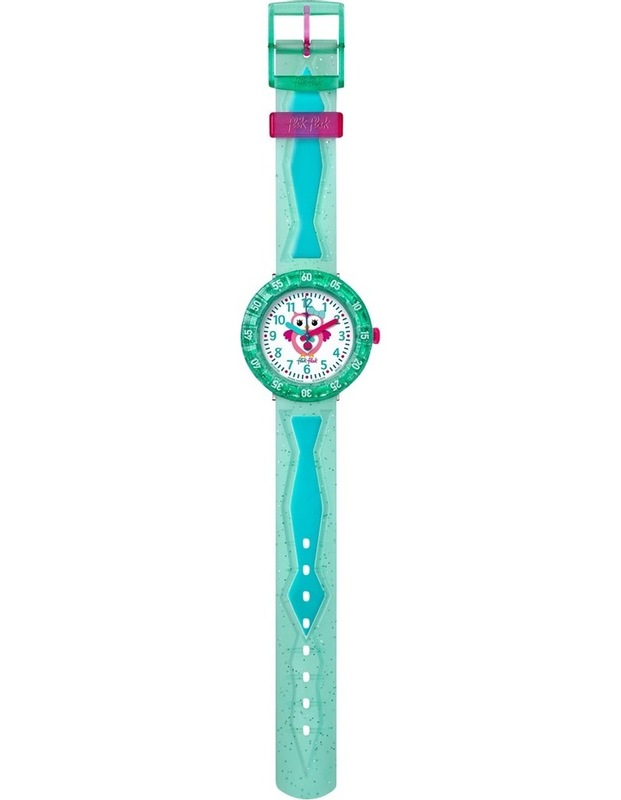 Night owls and stargazers are sure to twit-twoo over this refreshing, minty Swiss-made timepiece. 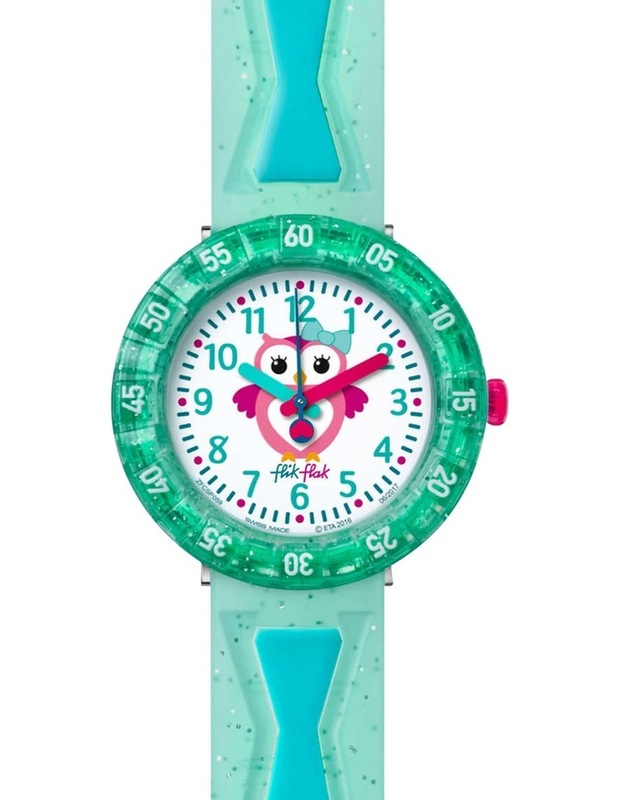 Enhanced with a bright glittery strap, shock and water resistant durable design, and an owl whos heart glows in the dark - a fun and functional way for little ones to learn how to tell the time. Complete with sparkly case.